“A Passage to Hell” – Wrapped! American soldier John Cutter (Dylan Bruce) is sent on a mission to stop the Russian terrorist Igor Rodin (Sergey Badyuk). Rodin has hijacked a team of scientists and plans to blow up one of the major European cities with the lethal biological bomb, they’ve constructed. In a short amount of time and supported by an extremely talented crew, director Danny Lerner adds another exciting action packed adventure to the Millennium library. 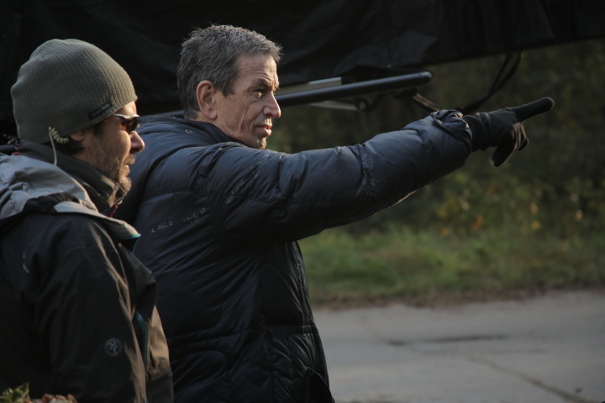 On the set of “A Passage to Hell”: Director Danny Lerner (on the right) giving instructions to SFX Supervisor Ivo Jivkov.